The pinafore dress is quickly becoming the sartorial piece of the season. This style staple is spreading its wings from the school hallways and into our AW wardrobes. Personally this is one of my favourite pieces to hit the highstreet this season. Here at Stylewhisperings we are loving the pinafore look for its juxtaposing simplicity and versatility. 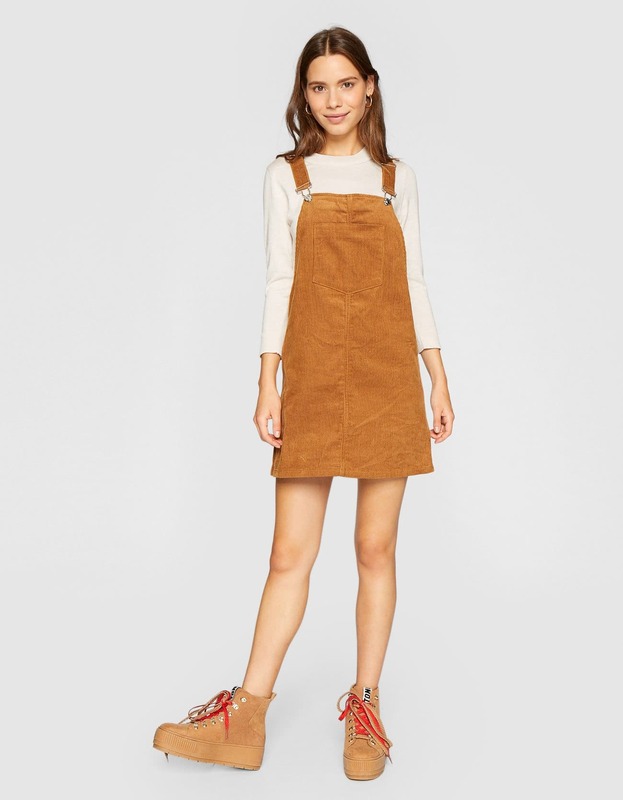 The pinafore is such an easy piece to wear while bringing an on-trend look to your everyday wear. Layering is key here. Having the right piece to fit under the pinafore is a must. Choose from a shirt for those kind of balmy autumn days to the ever faithful roll-neck for cosier days. There is no denying that nostalgia has played a big part in most of this seasons trends. 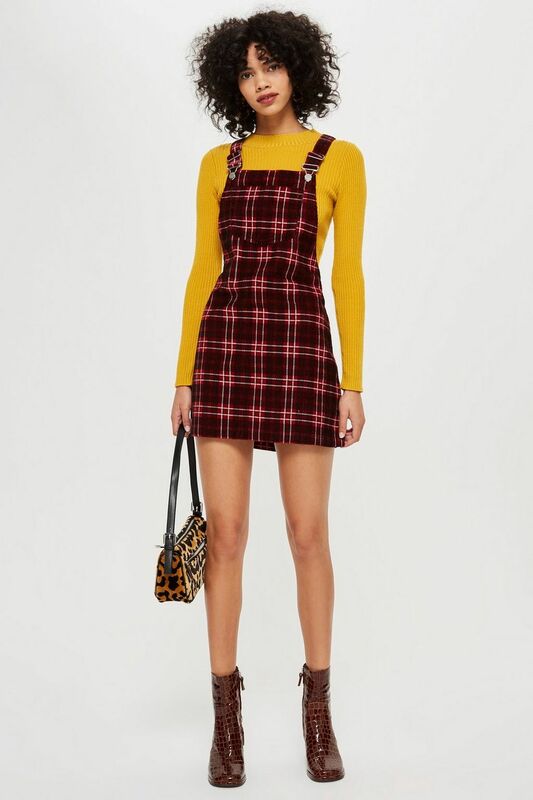 This check dress from Topshop is no exception with a nod to Cher Horowitz’s look of the 90s. 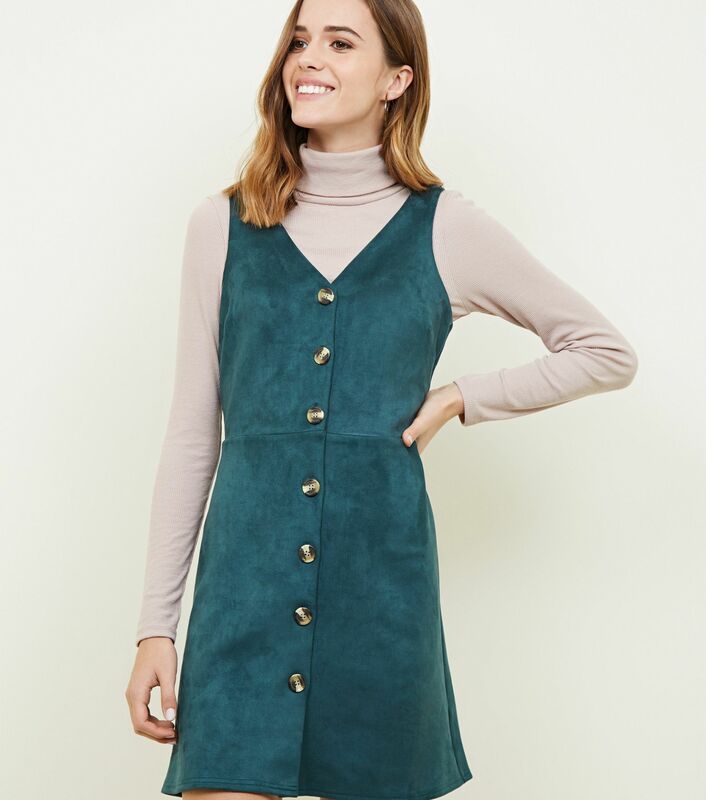 If you are on the scout for more then just one pinafore style this season then look no further then New Look. I have to admit this is one highstreet store I rarely visit but lately my head has been turned. This suedette piece invokes all those 70s nostalgia vibes. The midi-dress is one style that just keeps giving. It’s one that is never from from our hearts here at Stylewhisperings and so this amish-esque style from Zara could not be ignored. At Oasis they are taking inspiration from the 60s with this check dress. Our favourite part – the gold button details. 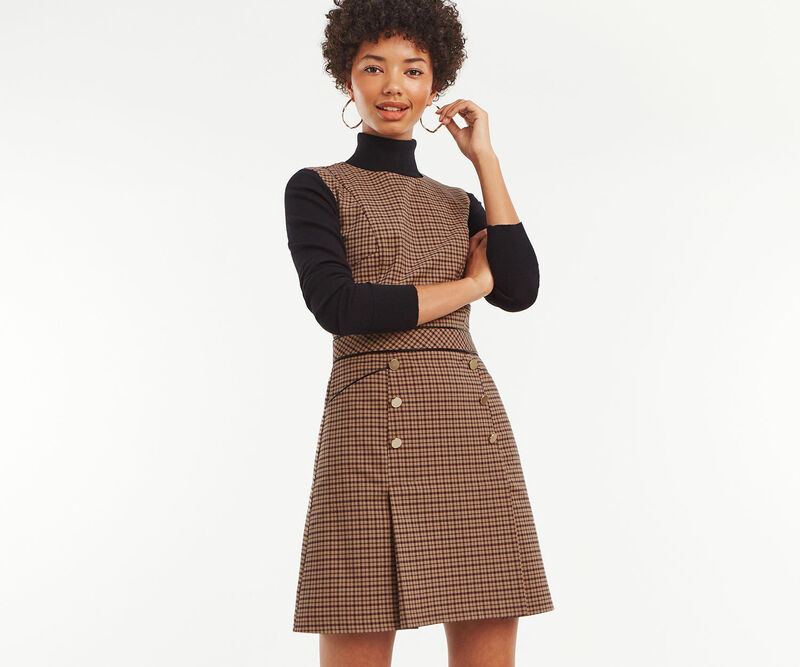 This dusty brown cord dress from Stradivarius checks off so many of this seasons trends. Cord isn’t for everyone especially when it comes to trousers. This dress is an easy way to incorporate the 70s staple into your wardrobe.